Iran's Supreme Leader tells former president not to stand again in next year's elections. Iran's Supreme Leader, Ayatollah Ali Khamenei, has told former president Mahmoud Ahmadinejad not to stand again in next year's elections, Reuters reported Monday, citing state media. Ahmadinejad had not officially announced any plans to run in the vote scheduled for May, but has launched a political campaign and made several speeches in recent months, prompting speculation of a political comeback. 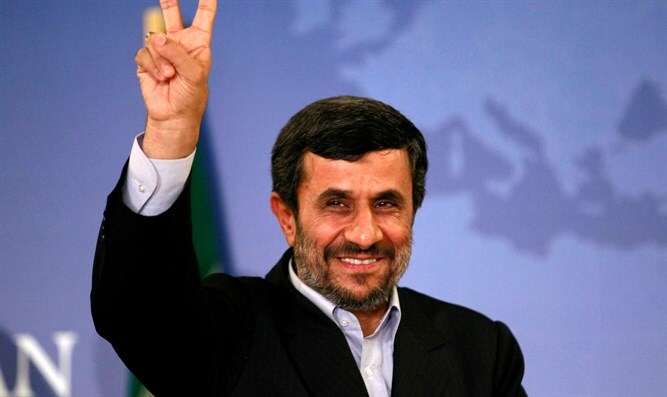 Commentators had suggested that Ahmadinejad would have given Iran's conservatives their best chance of regaining power. But the instruction by Khamenei, reported by state news agency IRNA, effectively destroys Ahmadinejad’s chances of getting the wider backing he would need to run a successful campaign. "He (Ahmadinejad) came to me and I told him not to stand as I think it is not in his interest and that of the country," Khamenei was quoted as saying. "It will create bipolar opposites and divisions in the country which I believe is harmful," Khamenei added in the comments quoted by Reuters. In February of 2015, Ahmadinejad launched an official website, as well as a Google+ page and an account on Instagram, in a signal that he was planning a return to politics. Before that, he had mostly stayed out of the public eye since his mandate ended in June 2013. He did, however, challenge his successor, Hassan Rouhani, to a public debate in late 2013, after Rouhani criticized his predecessor for the way he handled the economy. Prior to leaving the presidency, Ahmadinejad said he prided himself on his denial of the Holocaust. Rouhani's popularity surged after last year's deal with world powers that lifted most sanctions on Iran in exchange for curbs on its nuclear program. Another potential rival, Revolutionary Guard Commander Qassem Soleimani, said this month he would not stand in the vote, according to Reuters.